What a fantastic picture Helen. I've a blue and white hall landing and stairs and this would finish the wall off beautifully. Brilliant. Well done you. That's a great shot! Where did you take the photo and with what? It looks professional. 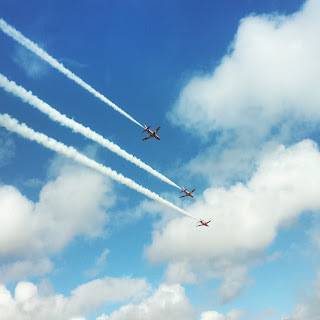 Always love to see photos of the Red Arrows, and I wish I could take photos even half as good as this on my phone. Well done.